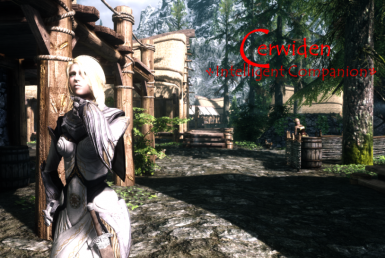 Thanks to your suggestions and comments, Cerwiden has grown significantly in the three months since she first wandered into Riverwood, not only in terms of her flexibility and configuration as a healer/mage, but with her own personality. 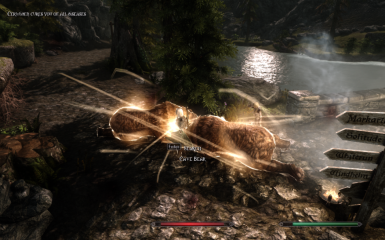 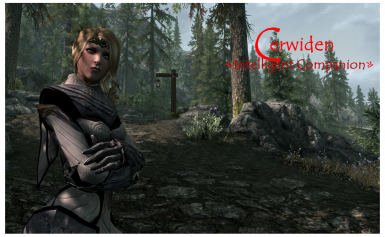 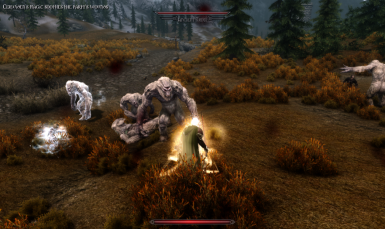 Version 1.7 of Ceri includes the next installment of her background/backstory quest, and you'll learn why she's in Skyrim, and choose to help her (or not) on her mission. 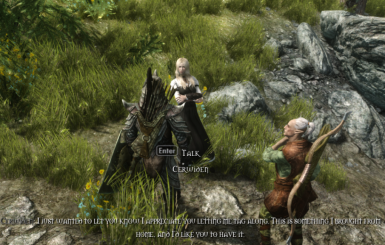 This quest installment includes many new, fully-voiced dialogue lines for Ceri, as well as some new banter lines, plus new, fully-voiced allies and enemies to meet during your travels. 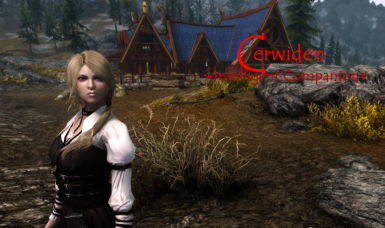 It's Cerwiden's birthday today, and she's one month old! 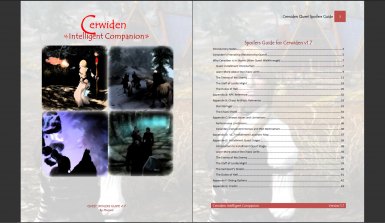 I'd like to thank everyone who has welcomed Ceri into their adventures and provided valuable feedback to help create such a configurable and flexible companion. 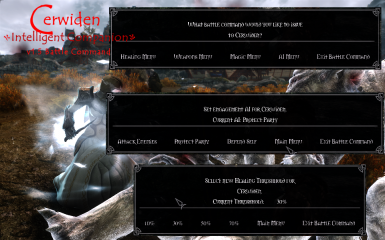 Ceri v1.5 is now available, and includes a new "Battle Command" feature that allows configuration of Ceri's tactics on-the-fly during combat. 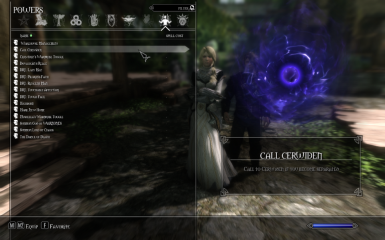 So if you have Ceri set to be the party healer, but during combat you decide that you need her to also attack with magic, you'll be able to issue the "Battle Command" to do so. 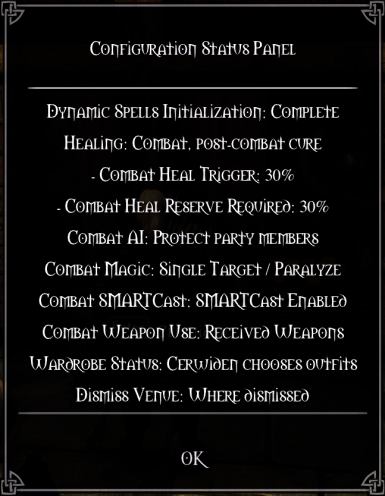 In addition to combat magic, "Battle Command" also supports changing Ceri's healing threshold, engagement AI and weapon use. 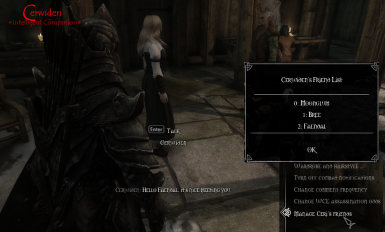 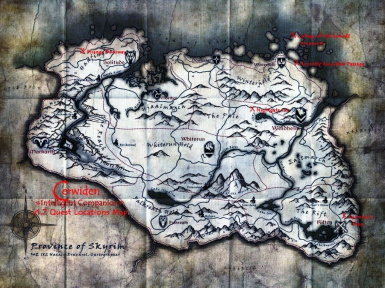 It's only been three weeks since Cerwiden first wandered into Riverwood's Sleeping Giant Inn. 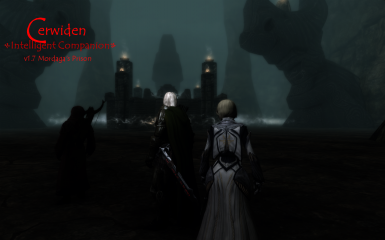 In this short time, she's made many new friends who've welcomed her into their adventures, and I can't thank you all enough. 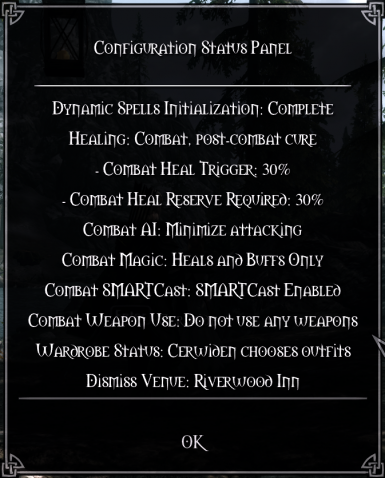 With your help and support, Ceri's AI is now more flexible and configurable than ever, and able to suit just about any level of difficulty and playstyle. 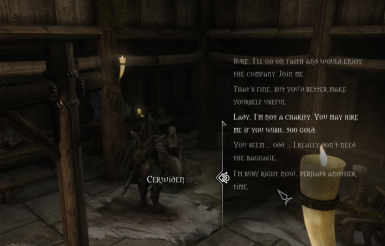 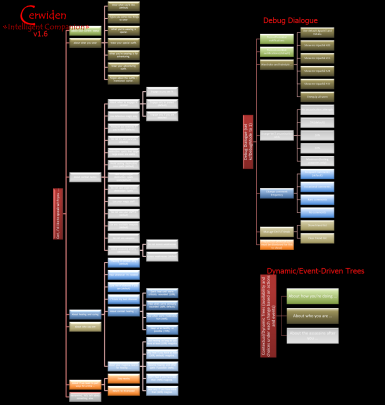 With version 1.4, Ceri's custom configuration dialogue is now FULLY VOICED, thanks to Shelly Claman, who graciously volunteered to read and record all of those lines! 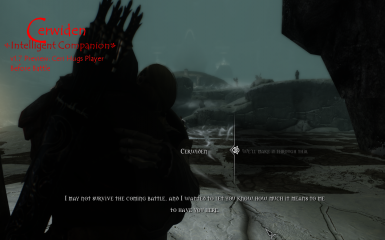 So those of you who're tired of subtitles for the custom dialogue, please extend your thanks to her! 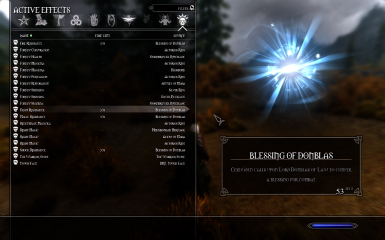 Tired of followers and companions who can't/won't buff or heal you in combat? 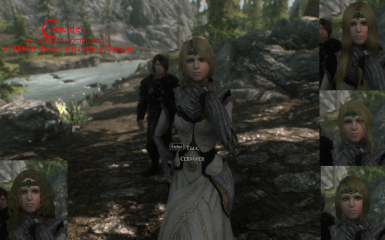 Tired of them always wearing the same outfit until you get them to change?